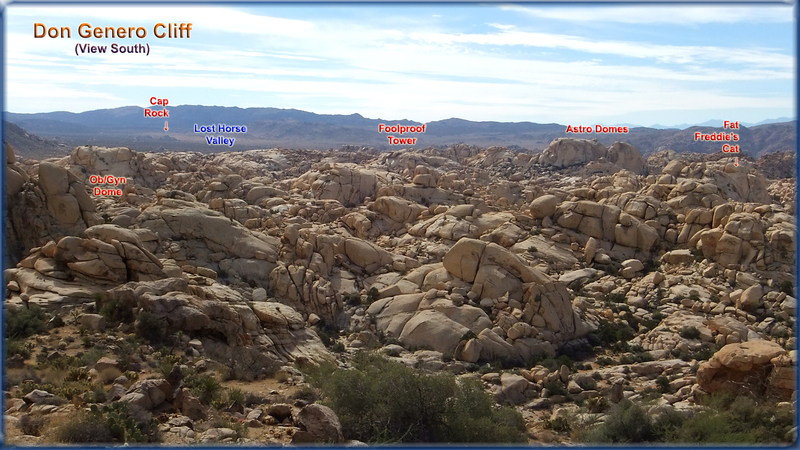 The terrain has risen 400ft along the way—and there are clearly many knolls and ridges nearby which are several hundred feet loftier. 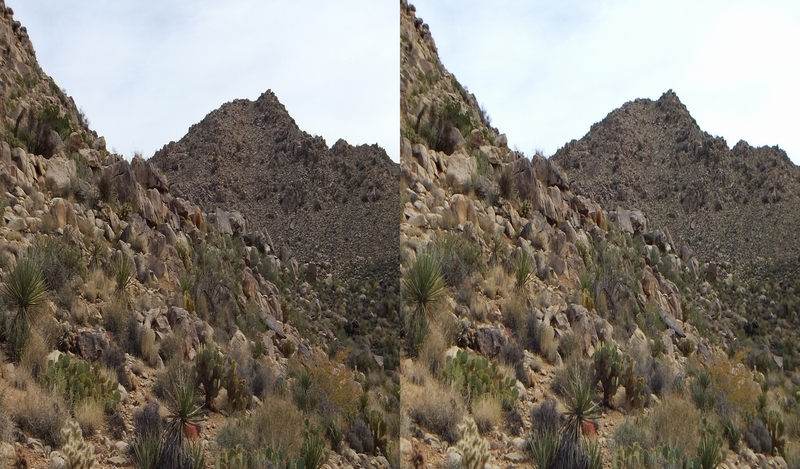 East, the 5,000ft el. 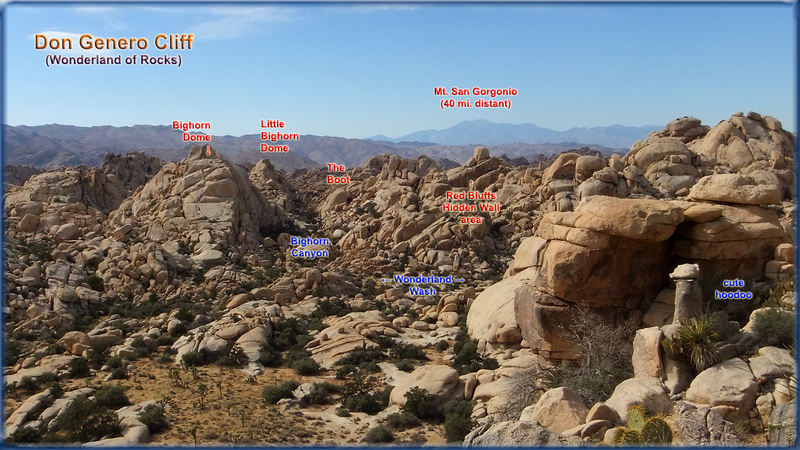 mountainside, where an even finer view can be had if you are prepared to do some serious cross country, uphill hiking. 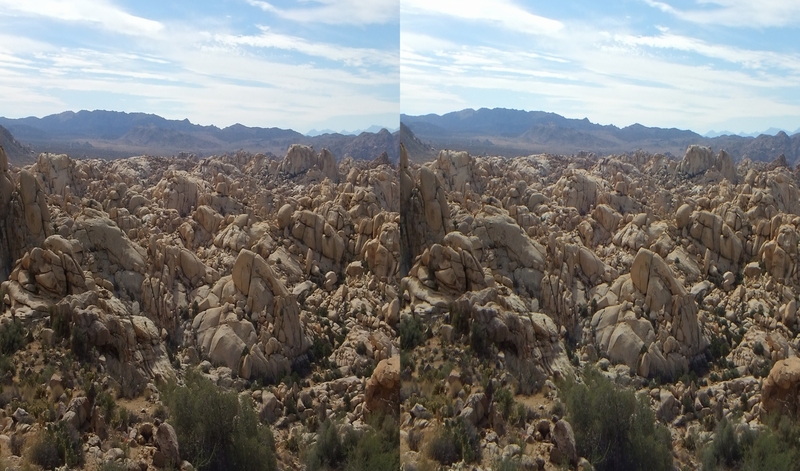 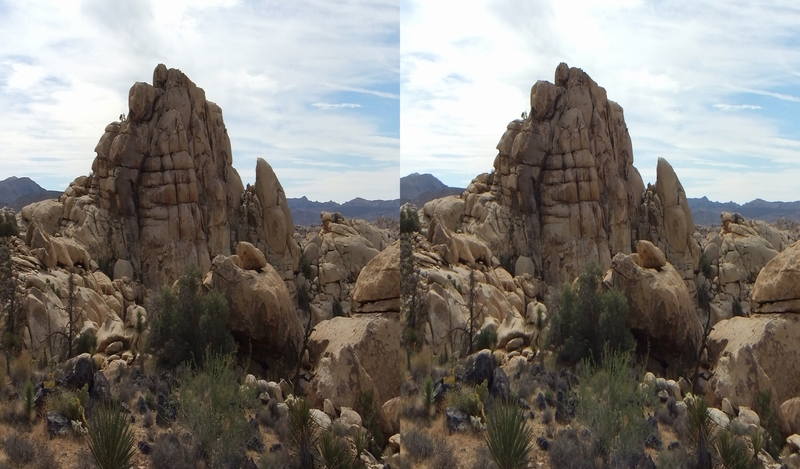 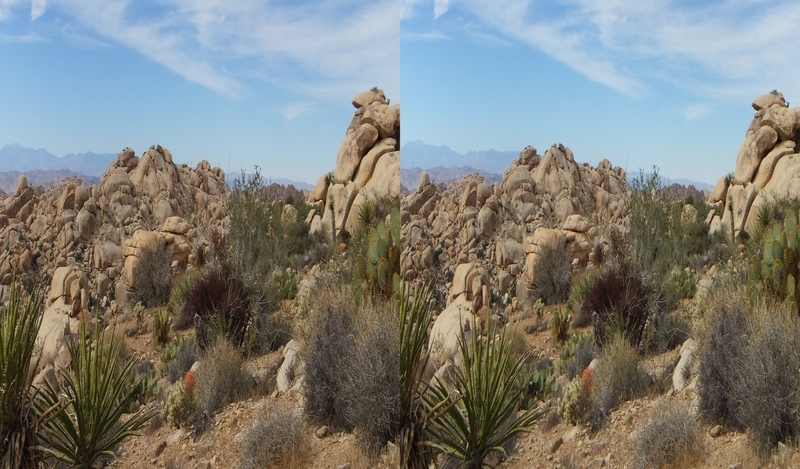 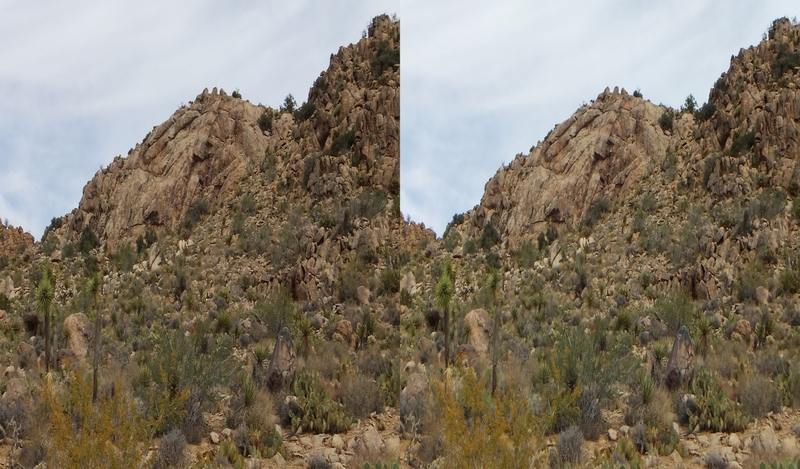 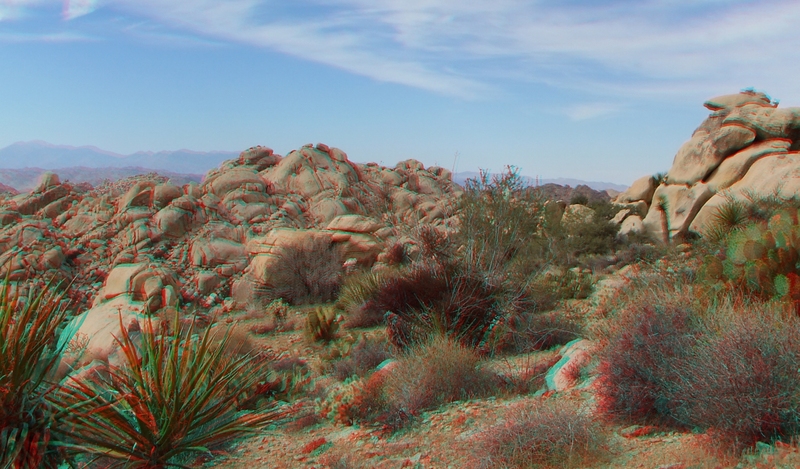 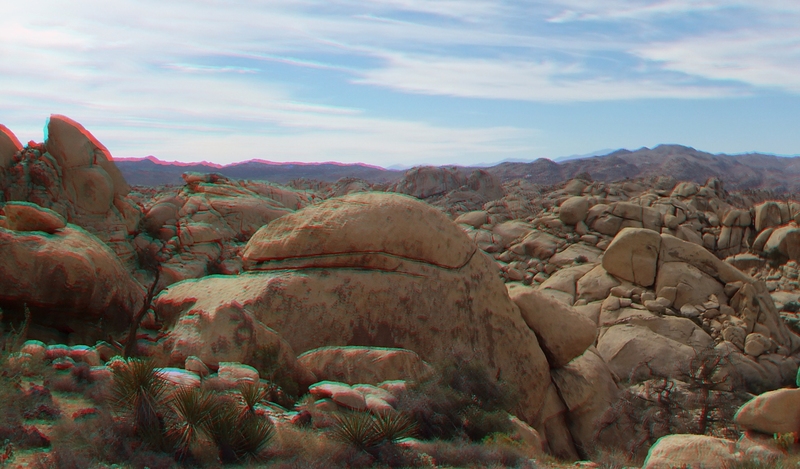 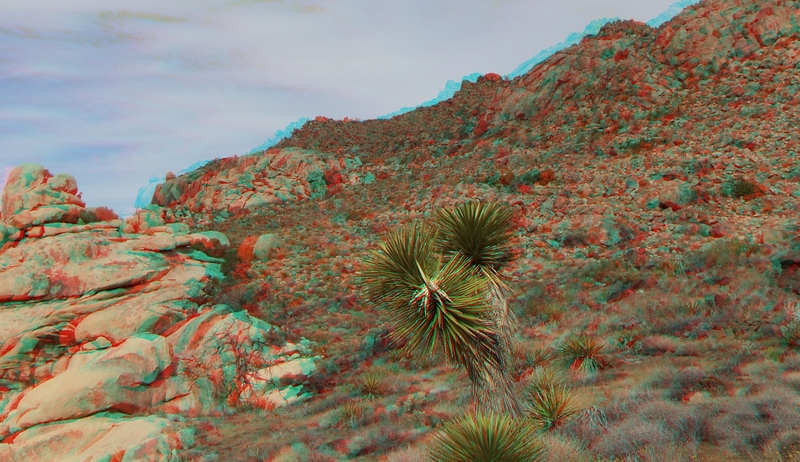 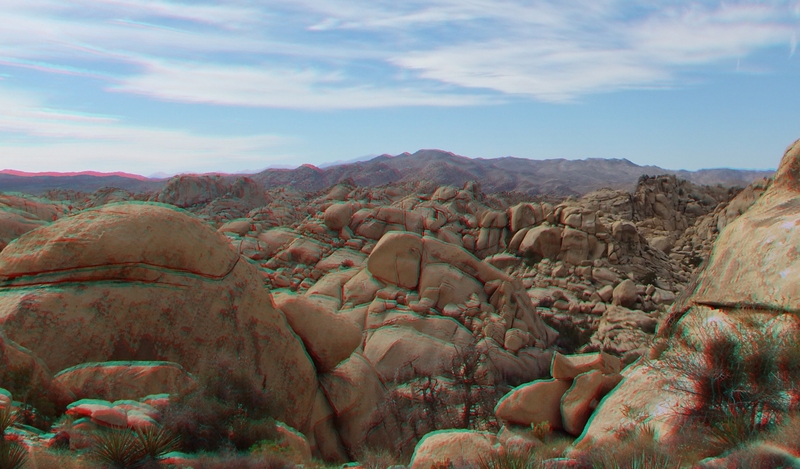 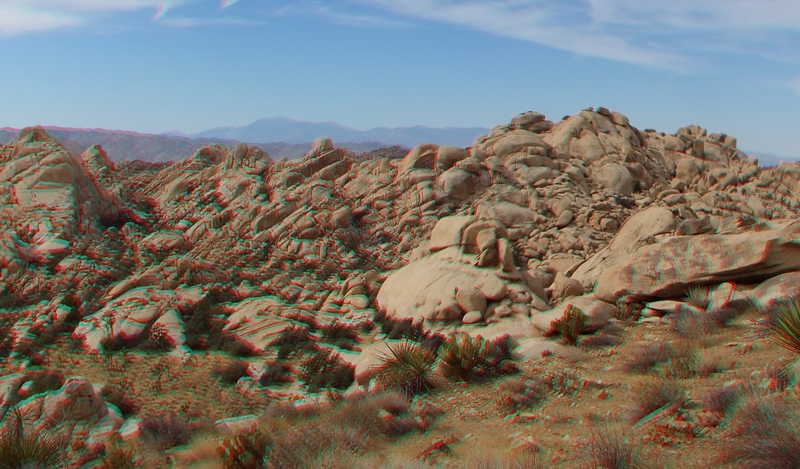 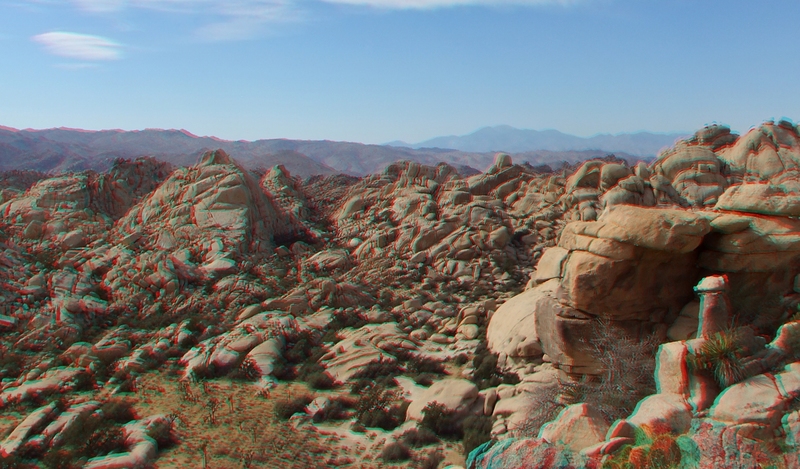 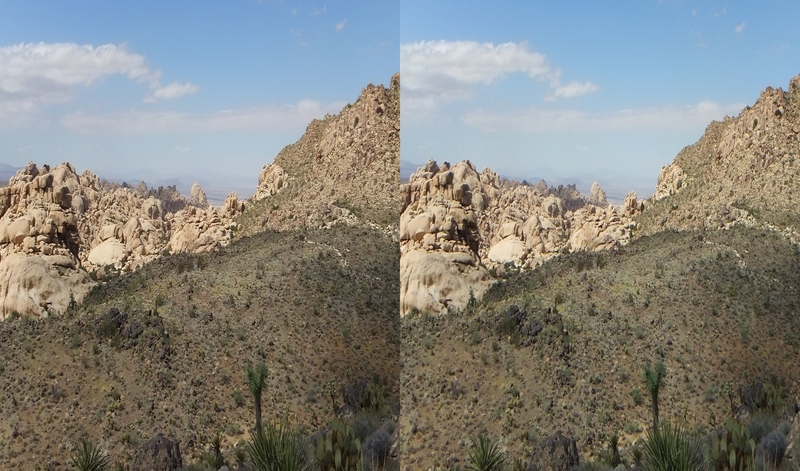 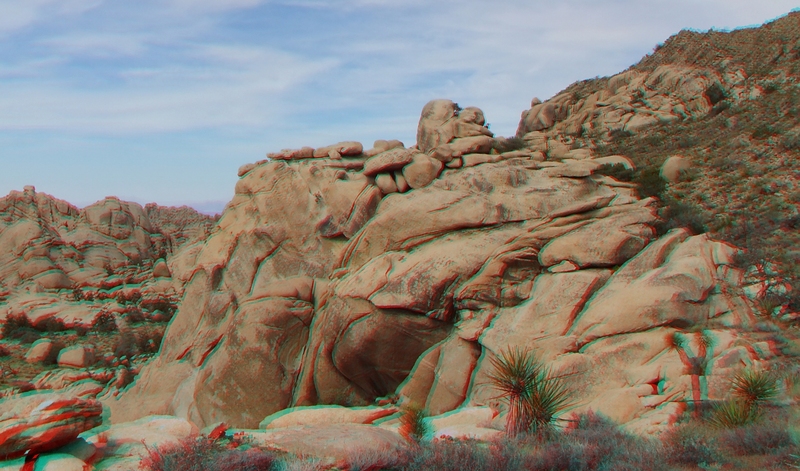 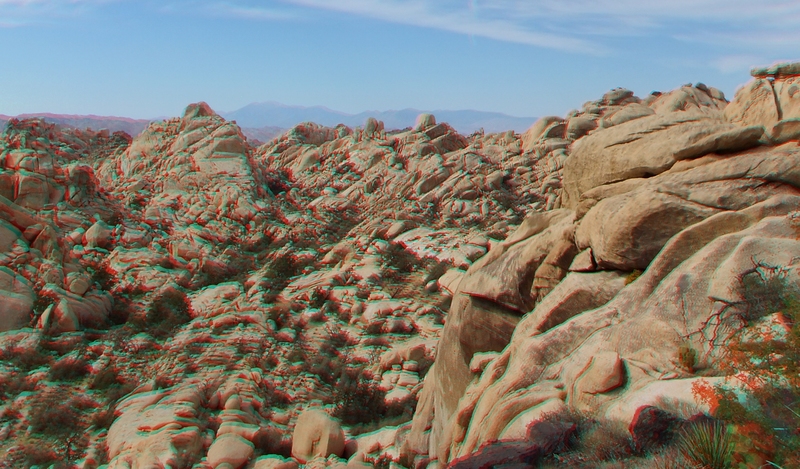 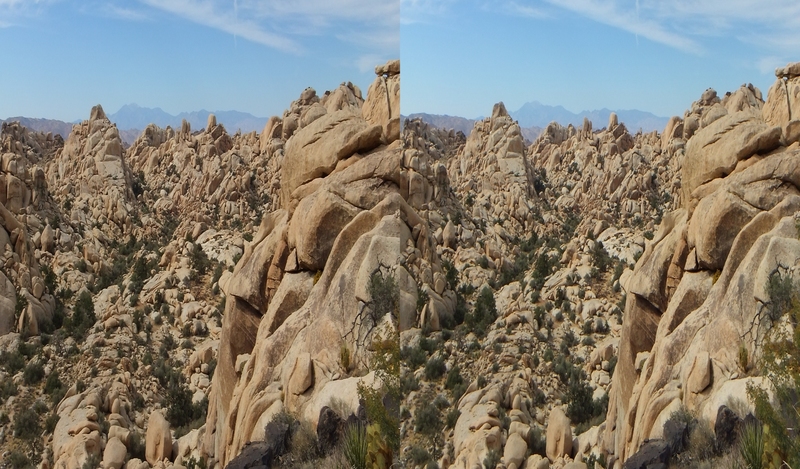 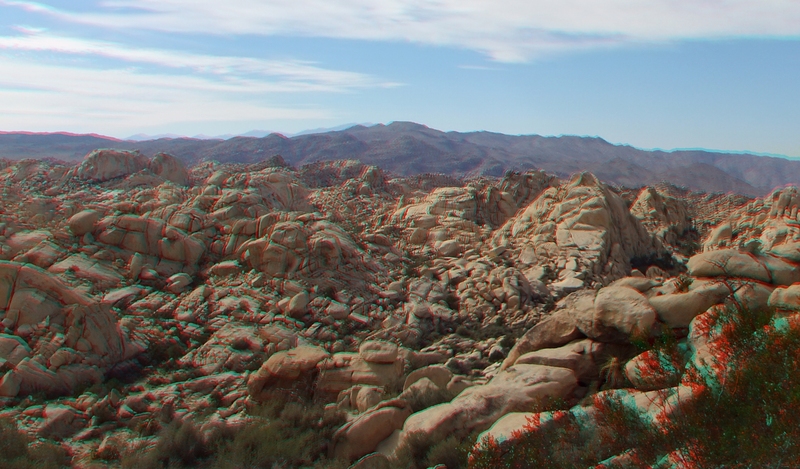 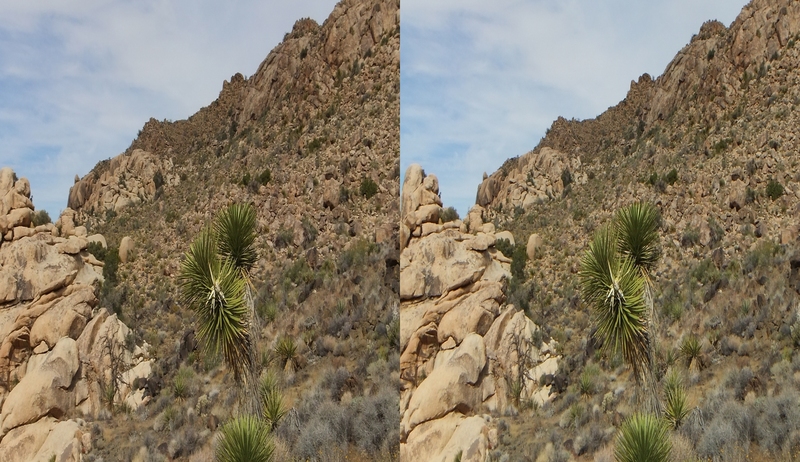 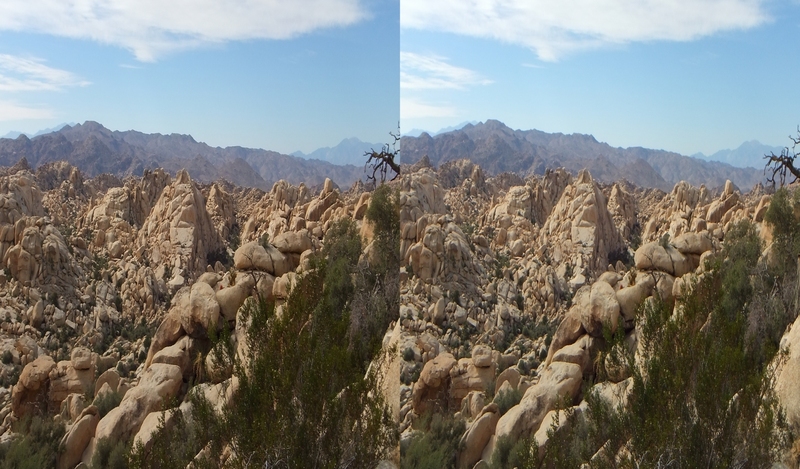 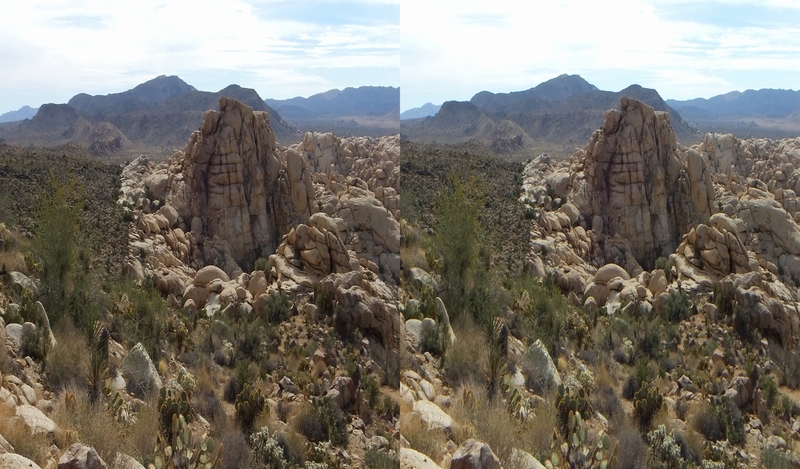 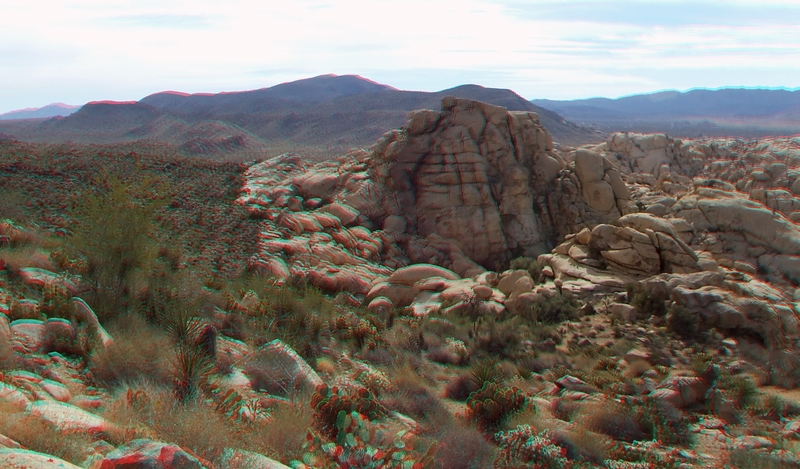 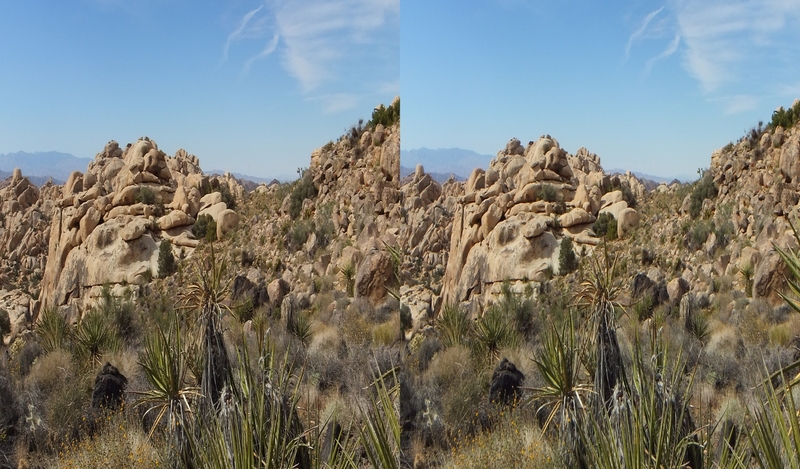 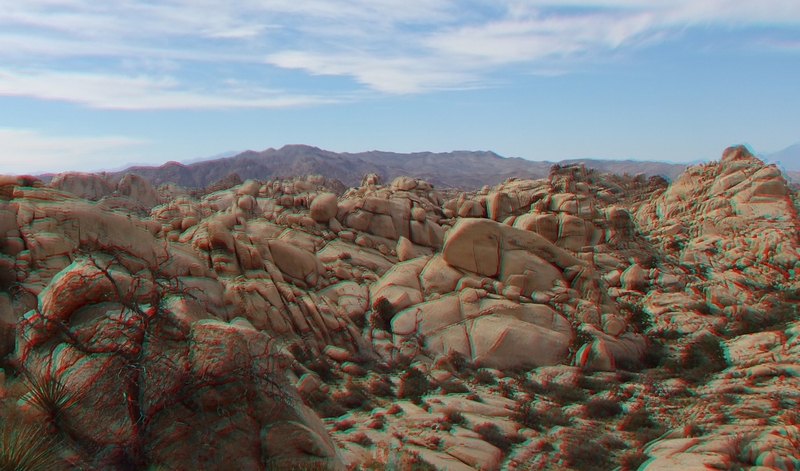 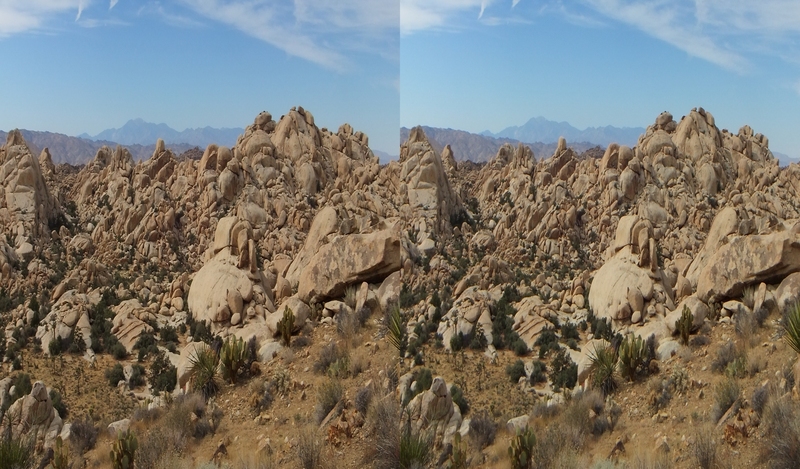 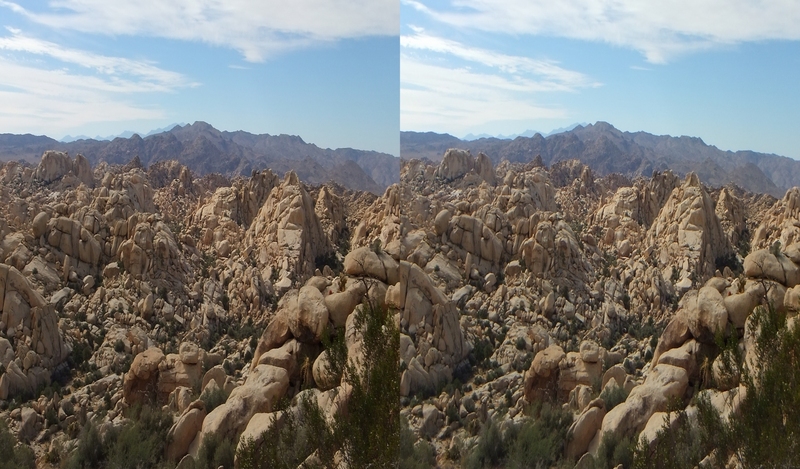 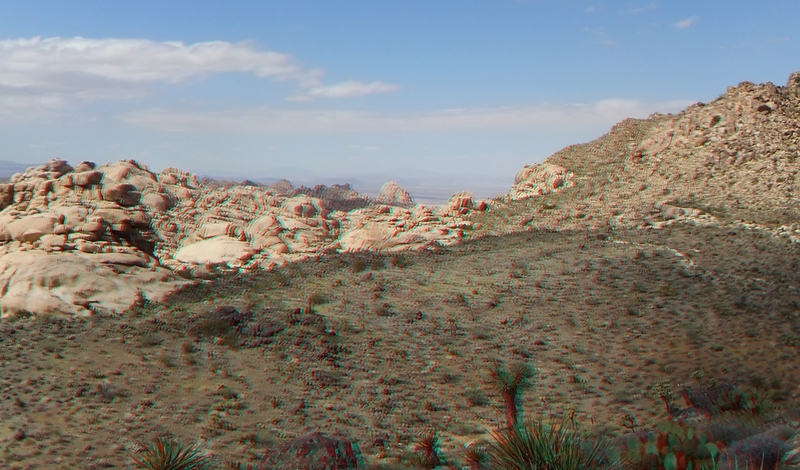 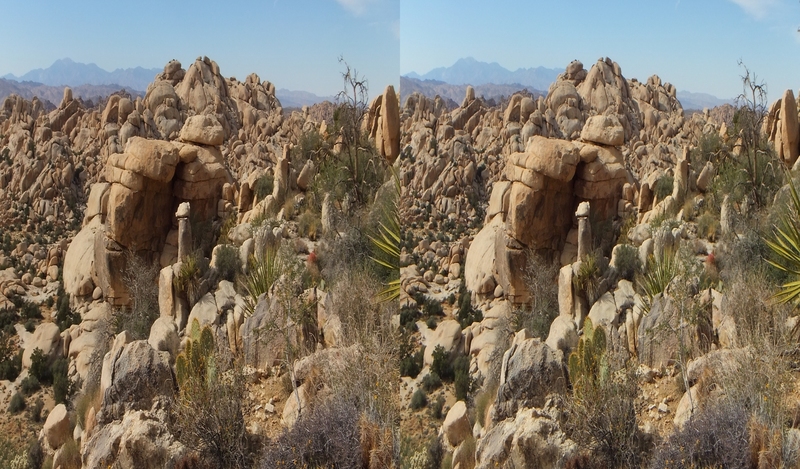 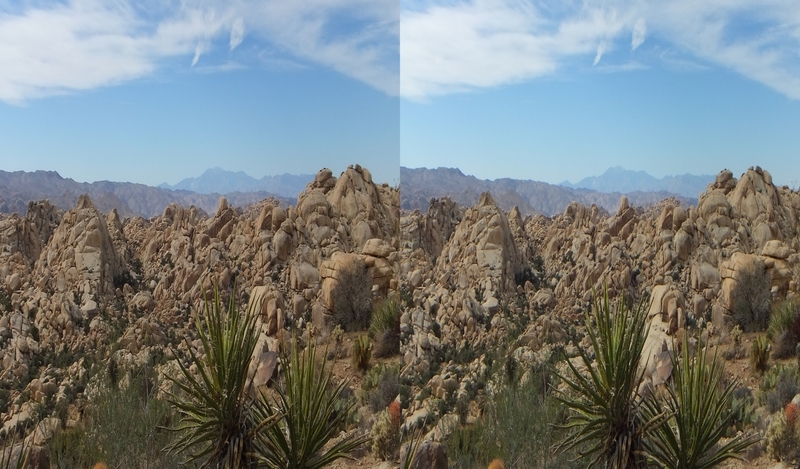 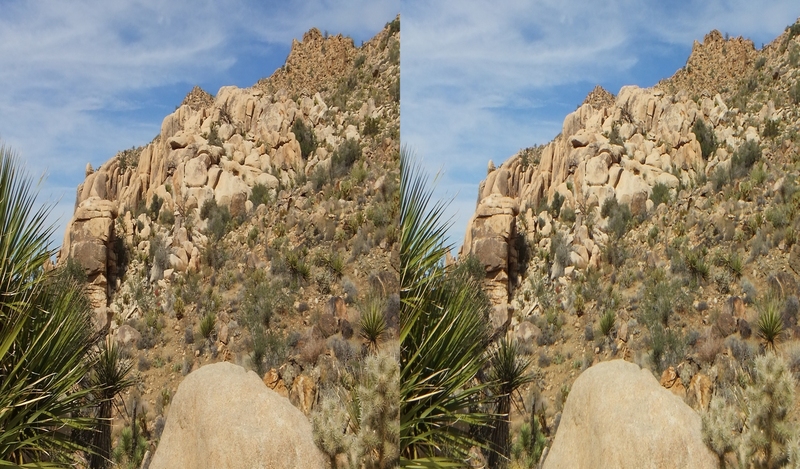 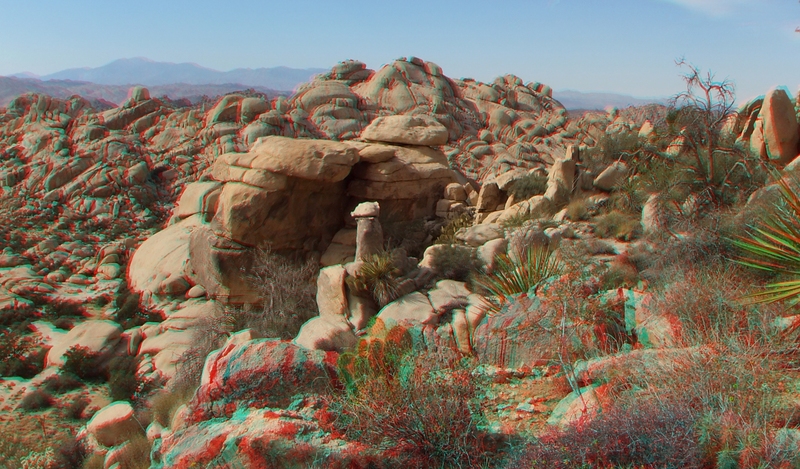 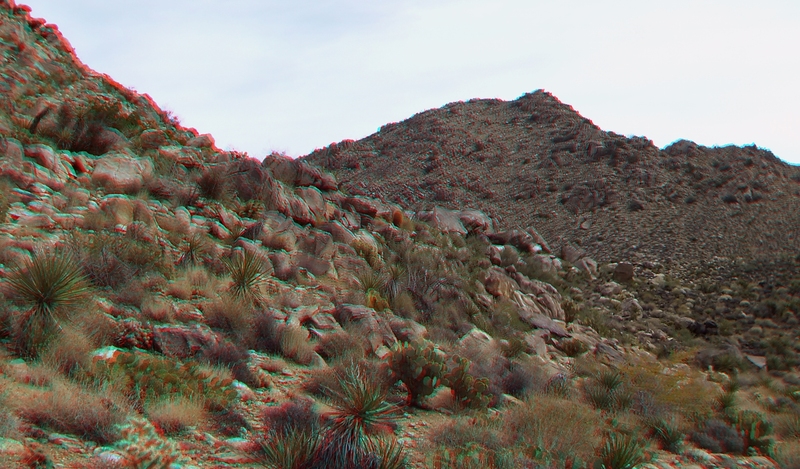 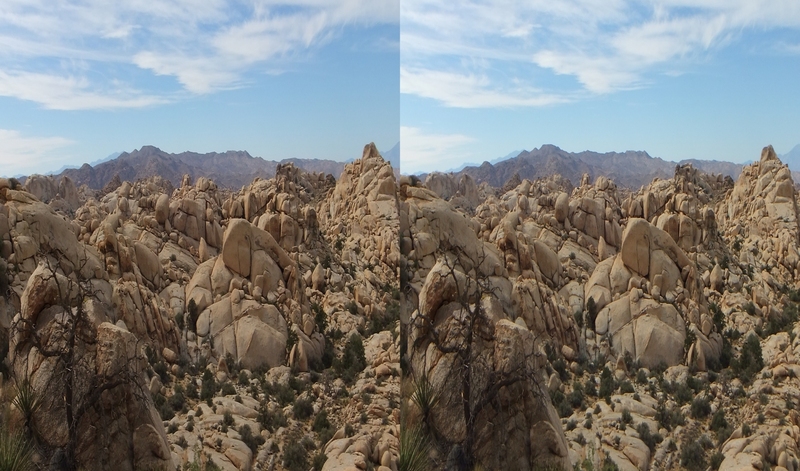 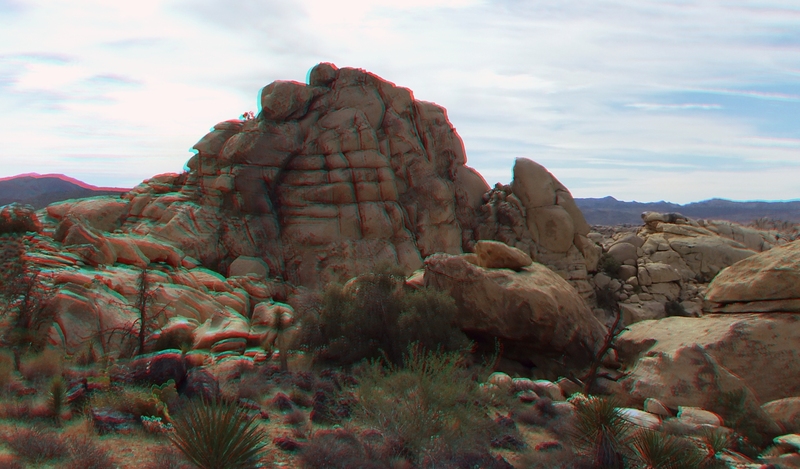 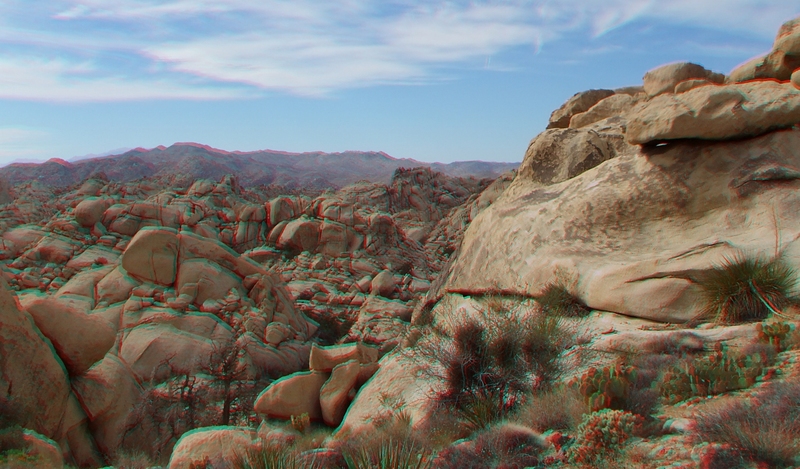 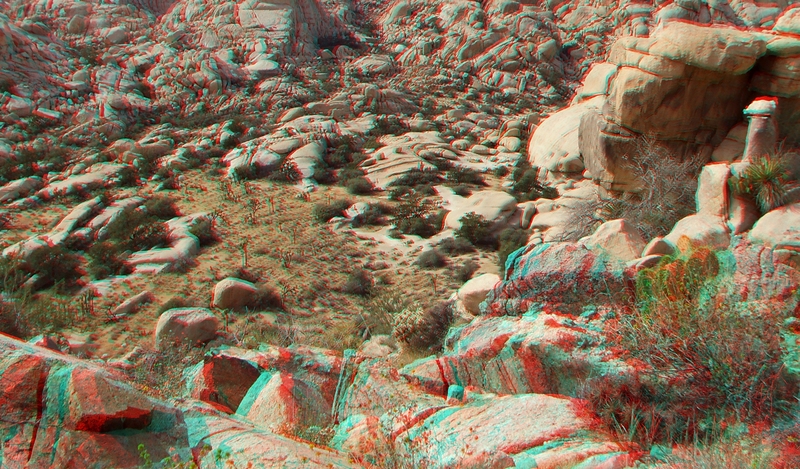 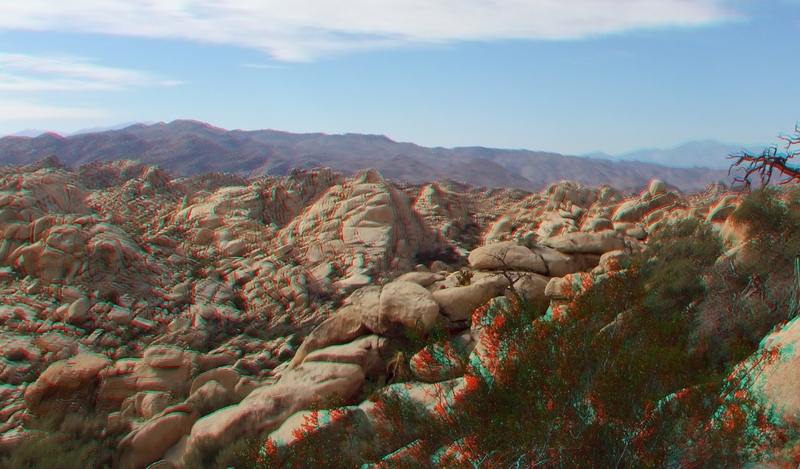 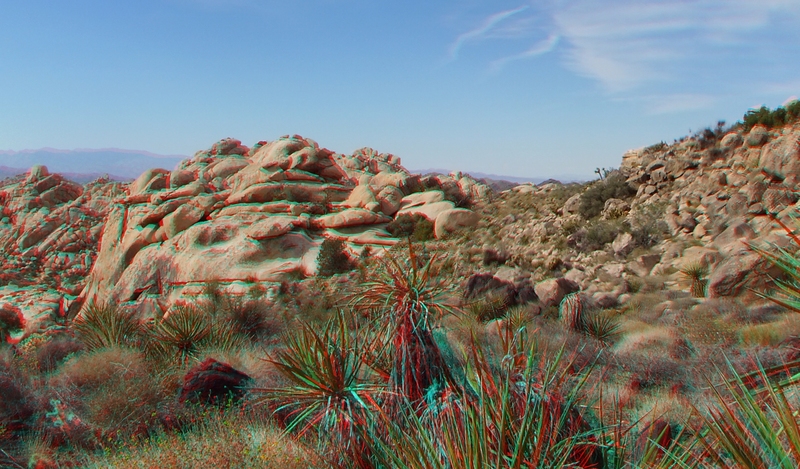 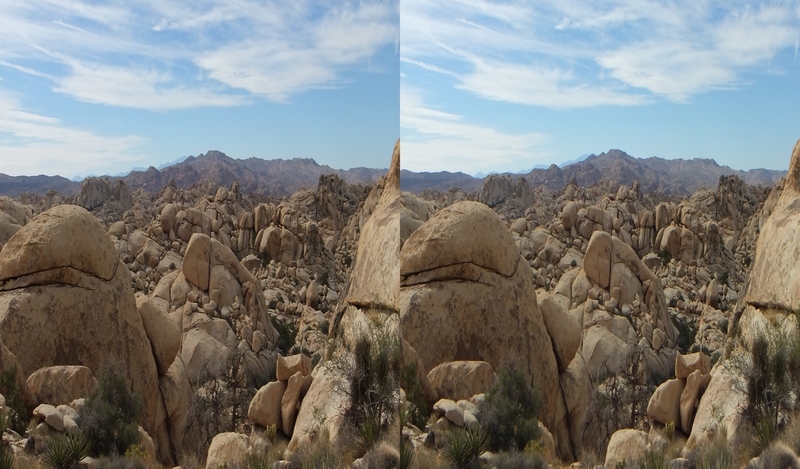 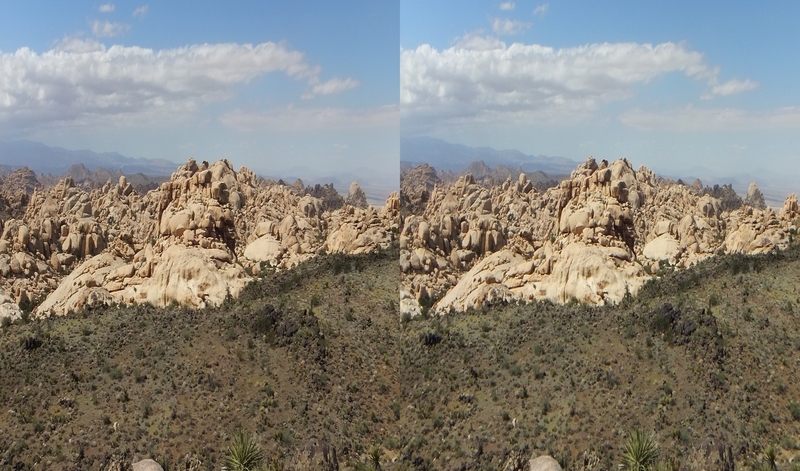 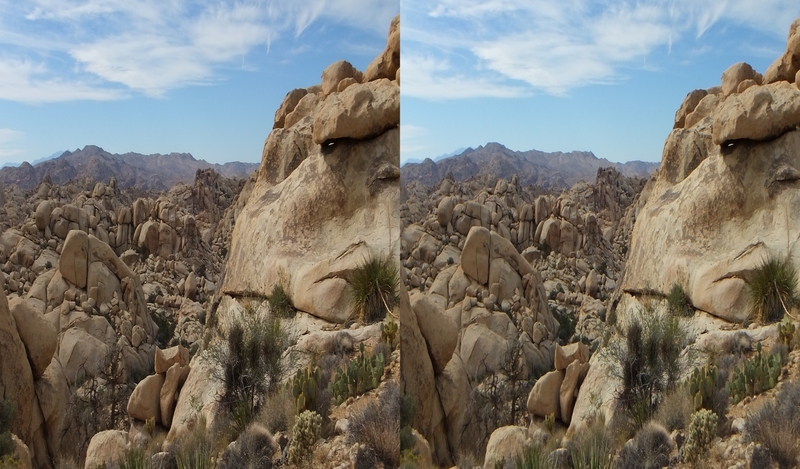 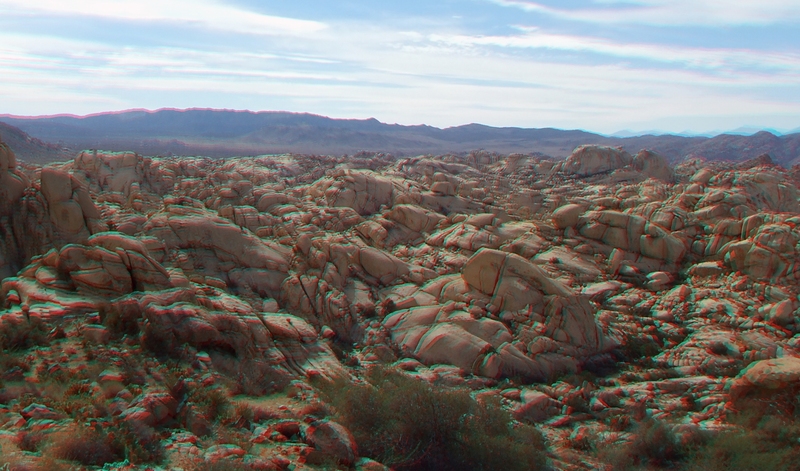 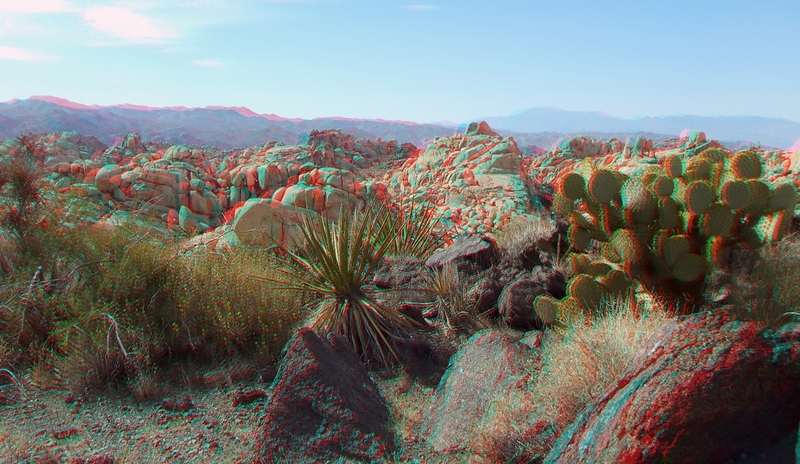 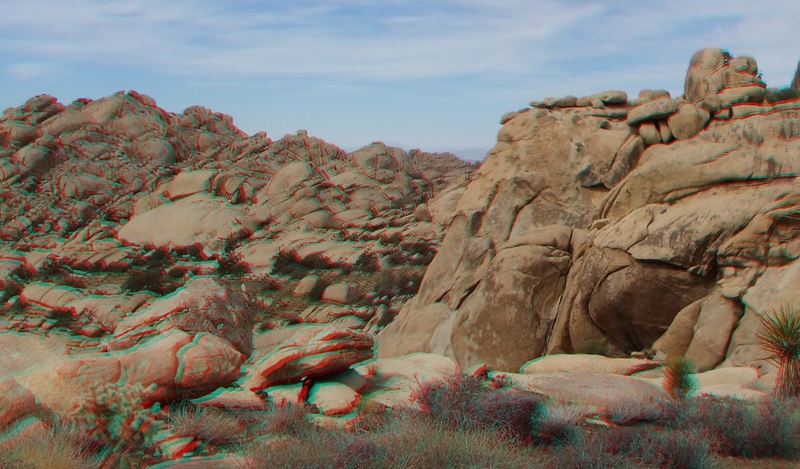 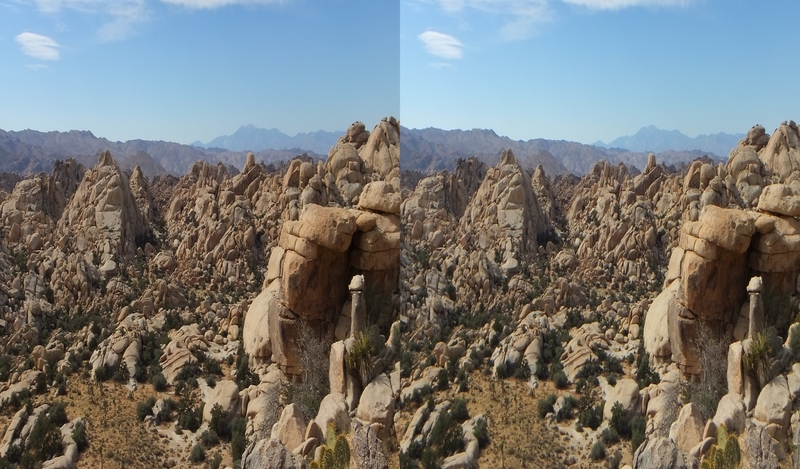 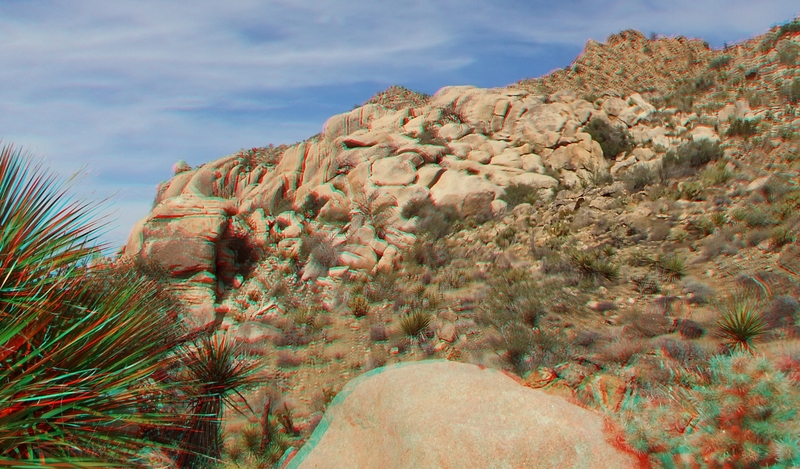 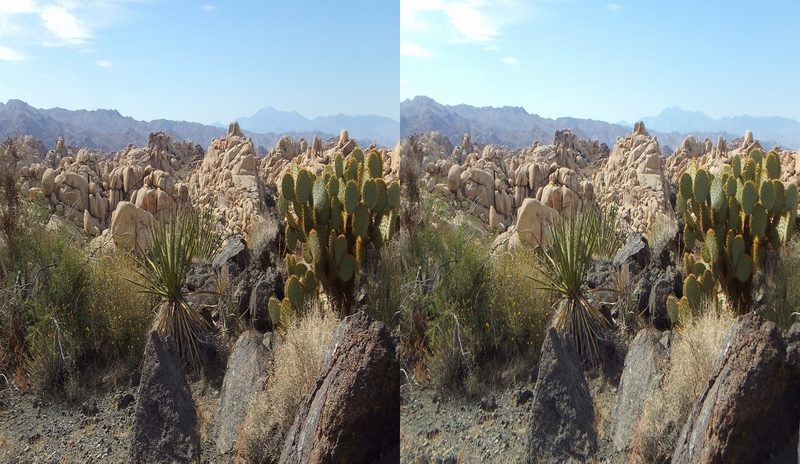 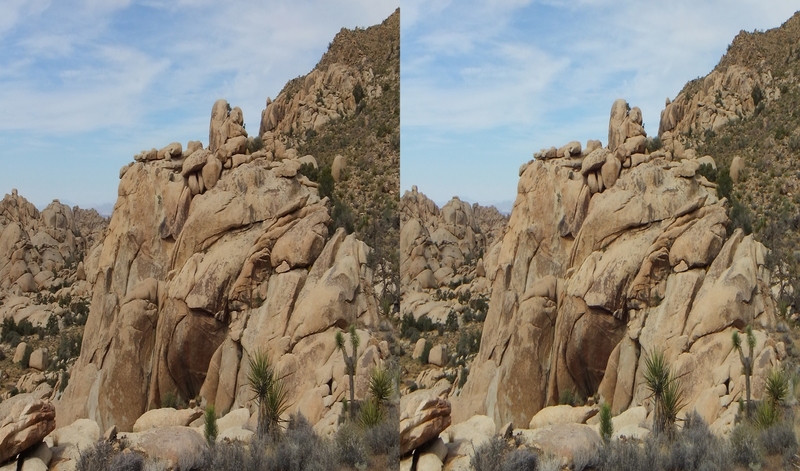 I took the following 3D images from a scenic view point at the 4,700ft level noted in the above illustrated shot: Sufficient to provide outstanding views throughout and down into the Wonderland of Rocks. 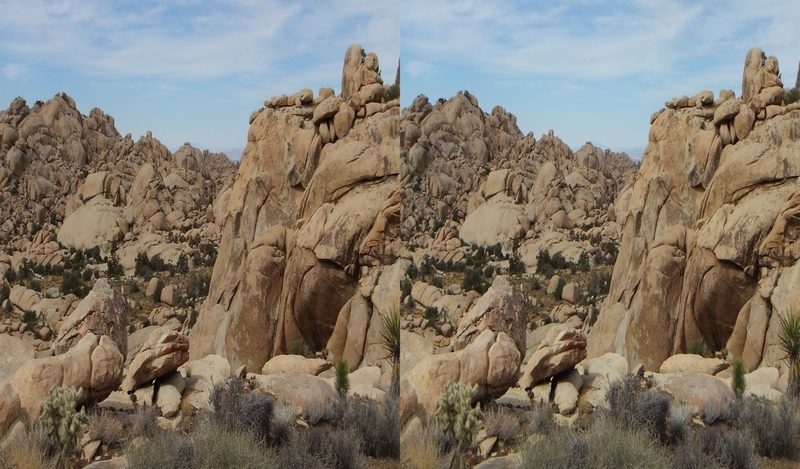 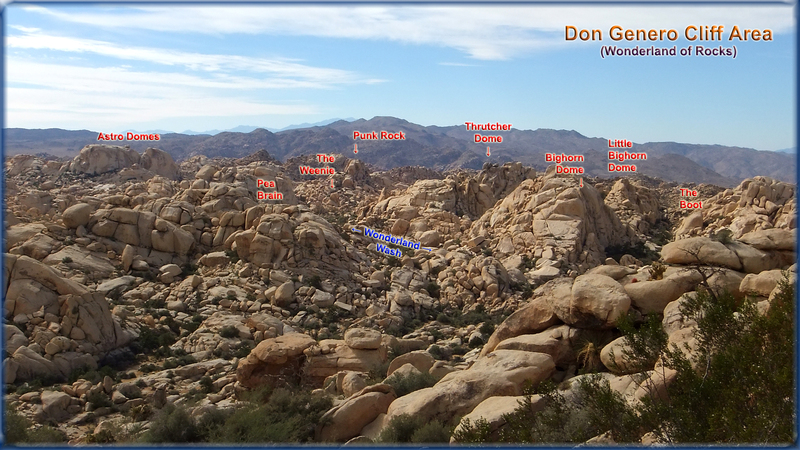 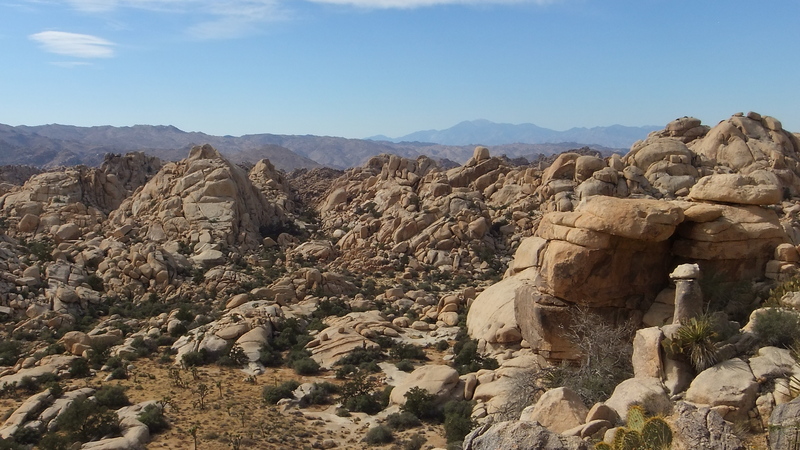 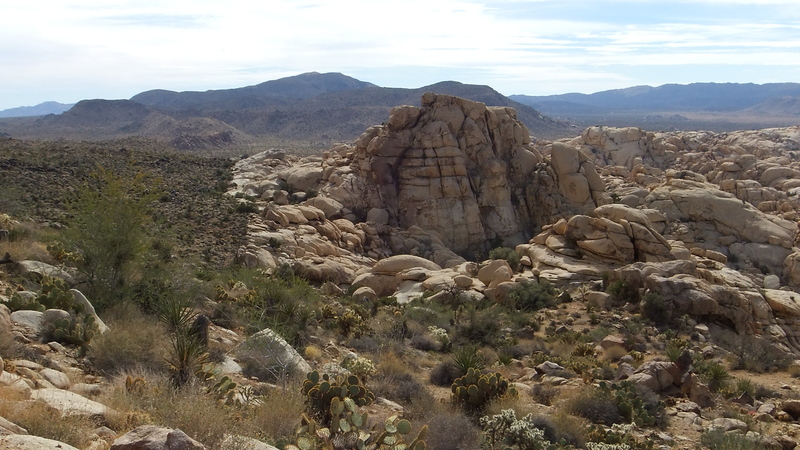 This is the only place that I know of in Joshua Tree National Park where you can obtain such a close-up panorama view of the Wonderland of Rocks—unless, that is, you are a rock climber. 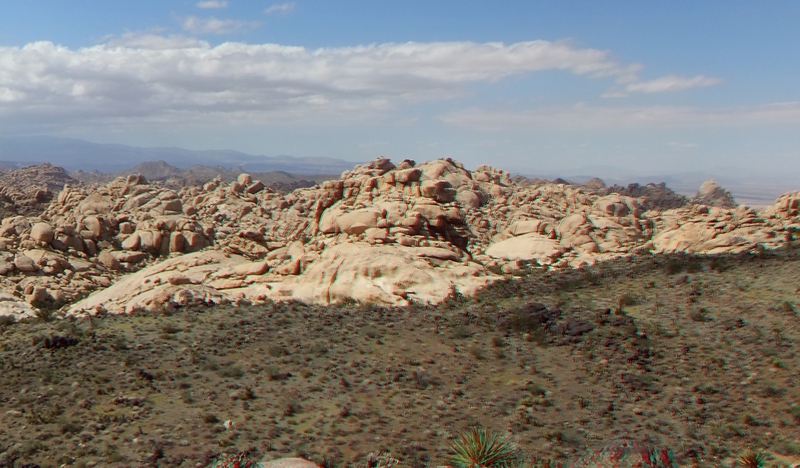 I still had 3 miles or so go in my circuitous return hike before me. 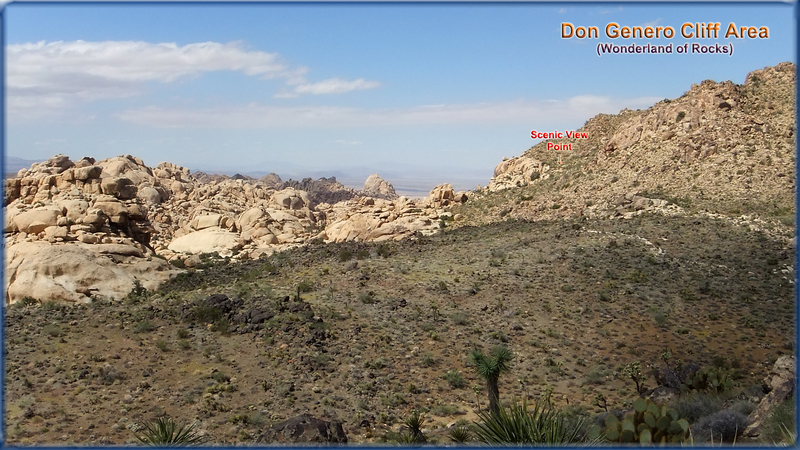 It is now early afternoon, the day 65F with fresh conditions, a slight breeze (as almost always found in Joshua Tree on calm days). 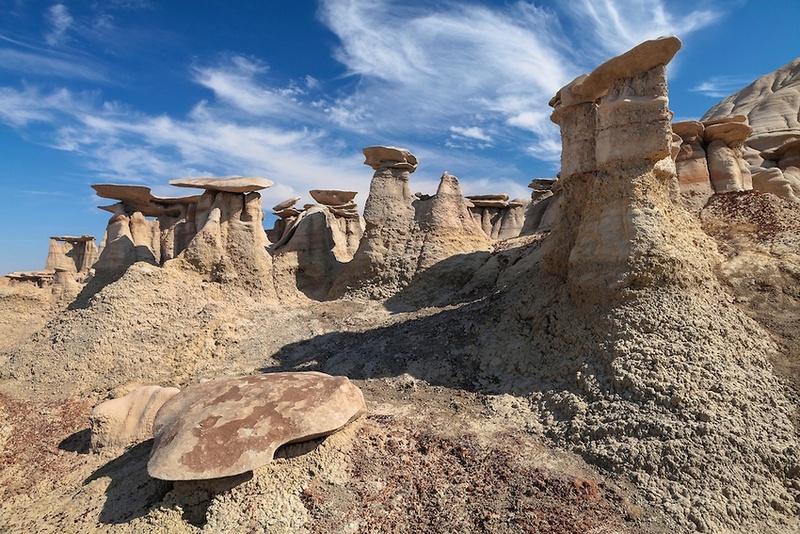 Throughout the Western United States, and many places elsewhere in the world, hoodoos abound. 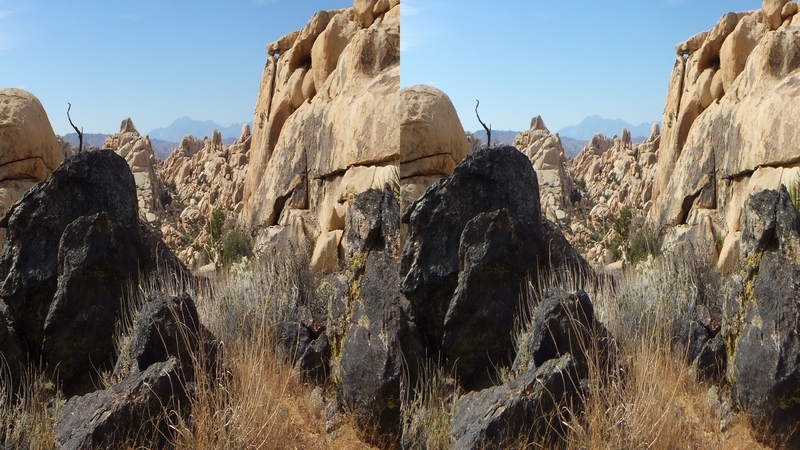 Usually the result of sandstone erosion, some famous ones are tourist attractions in Utah, New Mexico, Arizona and Nevada state and national parks. 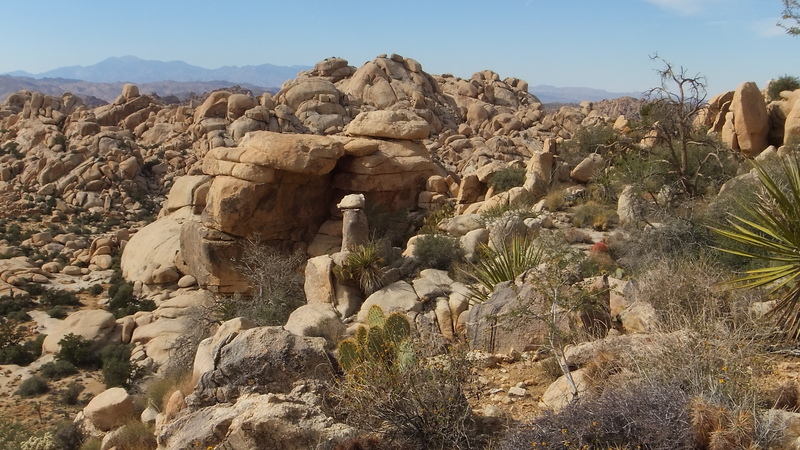 Due to the harder monzogranite nature of the Joshua Tree NP formations, very few of these little capped pinnacles are seen. 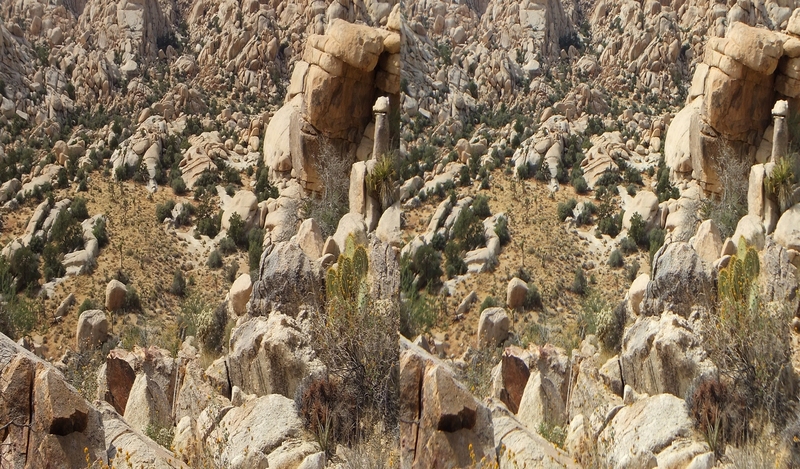 This is one of the nicest, but few day-trippers will ever enjoy photographing it. 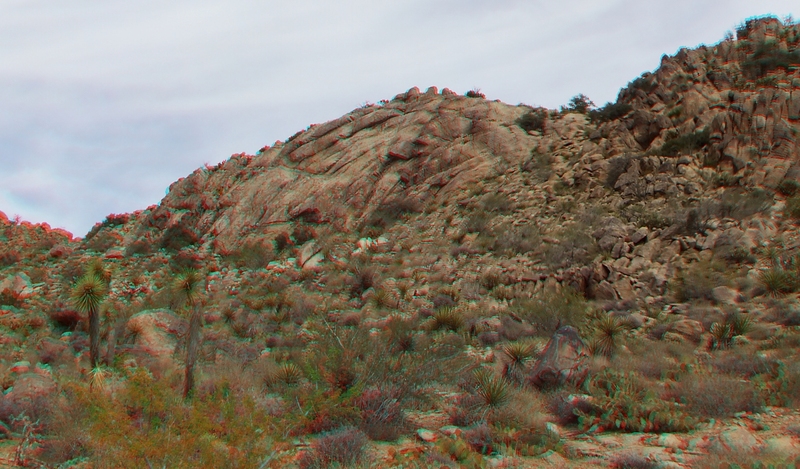 The Don Genero Cliff area, although off the beaten path—indeed, it is a rugged cross-country trek of about a mile and a quarter after you pass Wall Street Mill—offers a myriad of opportunities for the resolute 3D photographer. 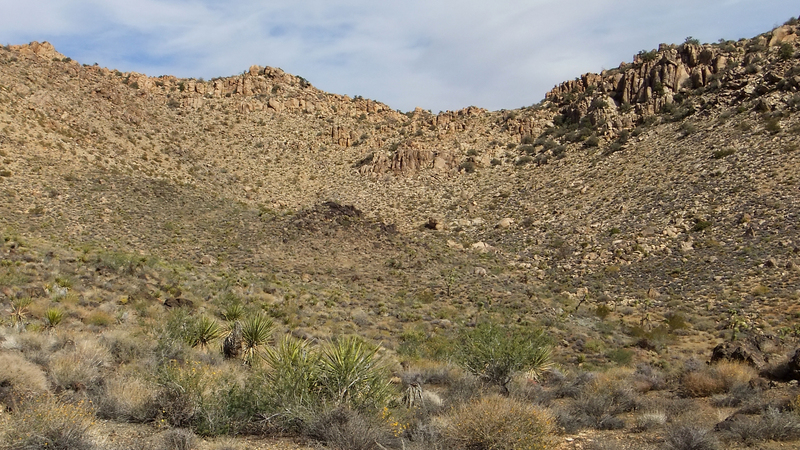 The thick vegetation along the hillside, which is quite varied, is unusual in a desert National Park outside of Arizona (which gets heavy monsoon rains). 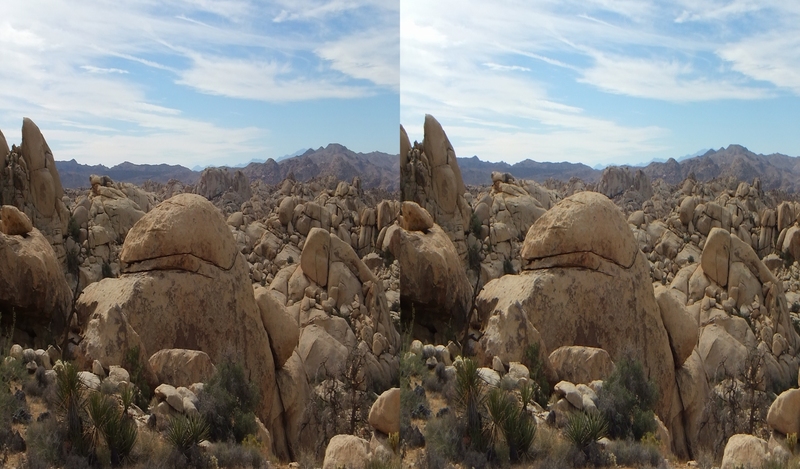 I hope you enjoyed these.